Dori Langevin, Psy.D has studied and practiced meditation since 1997 primarily with Tara Brach and the Insight Meditation Community of Washington, DC. 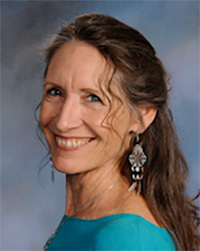 At Tara's invitation, she joined the IMCW Teachers Council in 2003 and completed the four-year Spirit Rock/IMS teacher training program in 2010. She moved to Washington State in 2007 and is sharing the teachings in Spokane. Dori has a special interest in the interface between dharma, addiction recovery and emotional healing. For more information, visit www.mainstream-mindfulness.com.